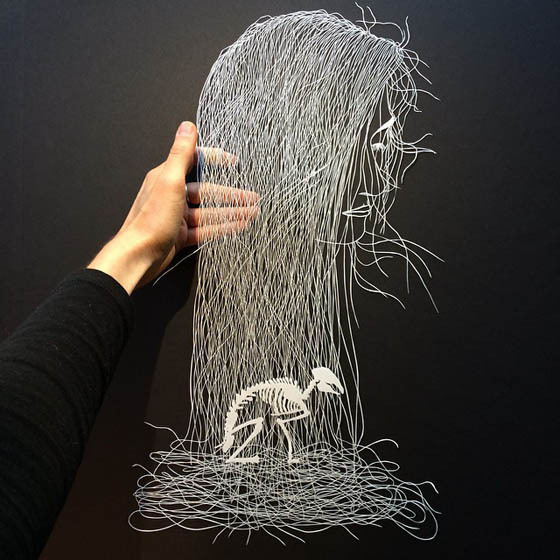 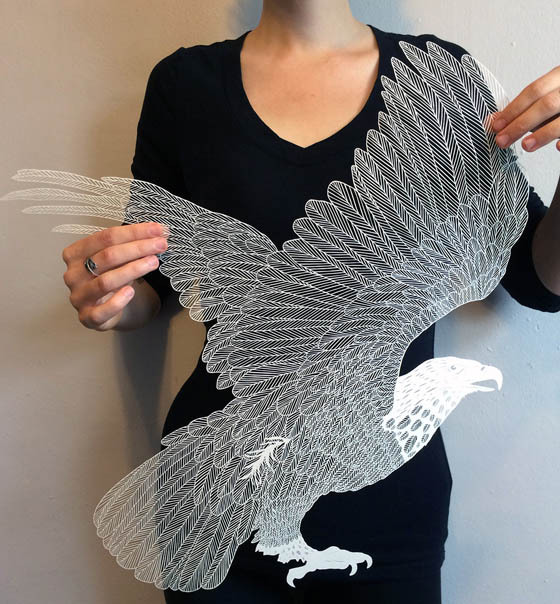 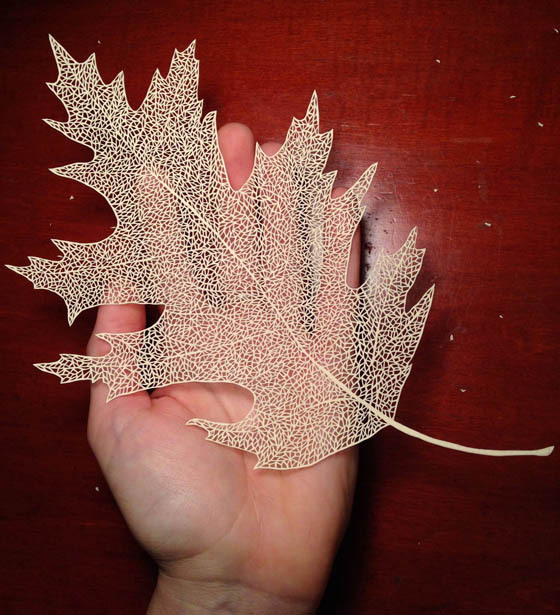 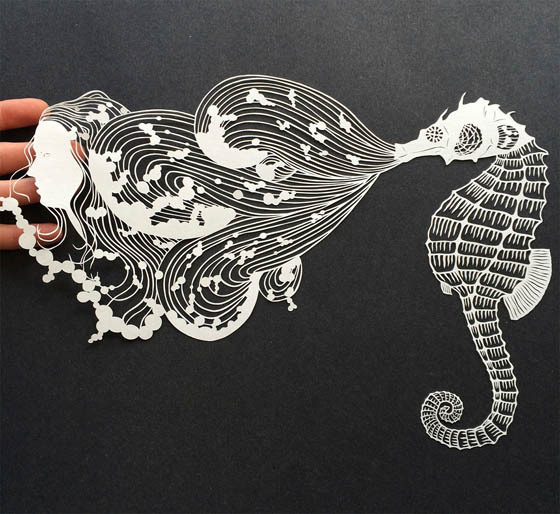 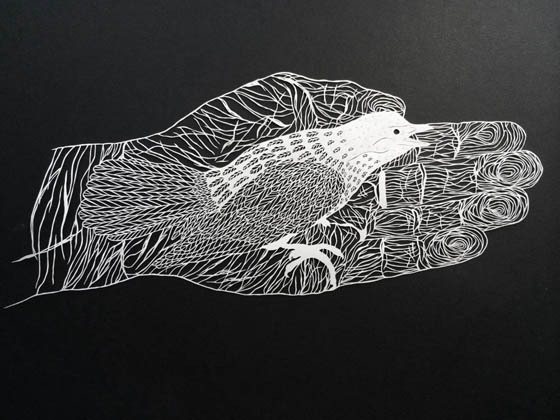 NY based artist Maude White is well known for her intricate paper-cut work. 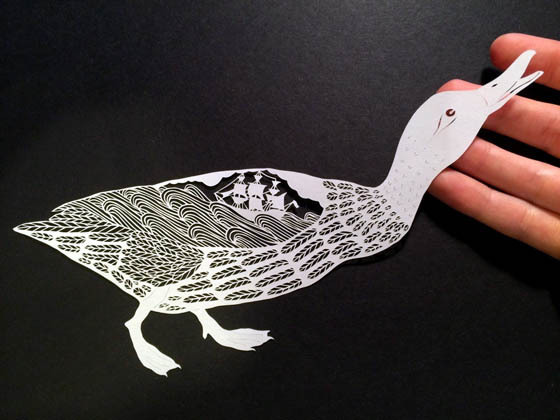 Cleverly play with positive and negative space, Maude create fantastic scenes and stories with a single sheet of paper. 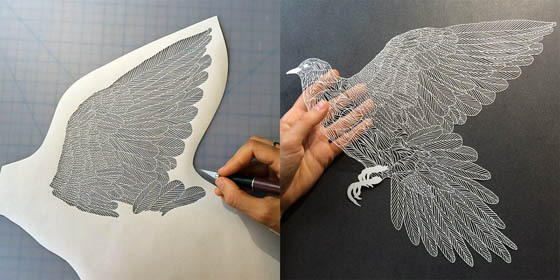 Using only a craft knife, Maude spends thousands of minute cutting tiny lines and giving the works an extreme feel of density and texture. 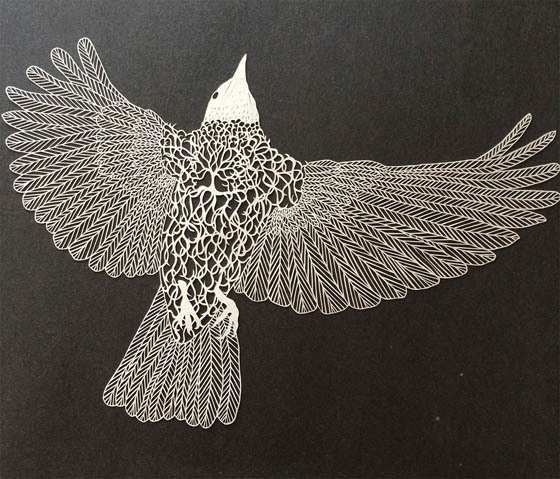 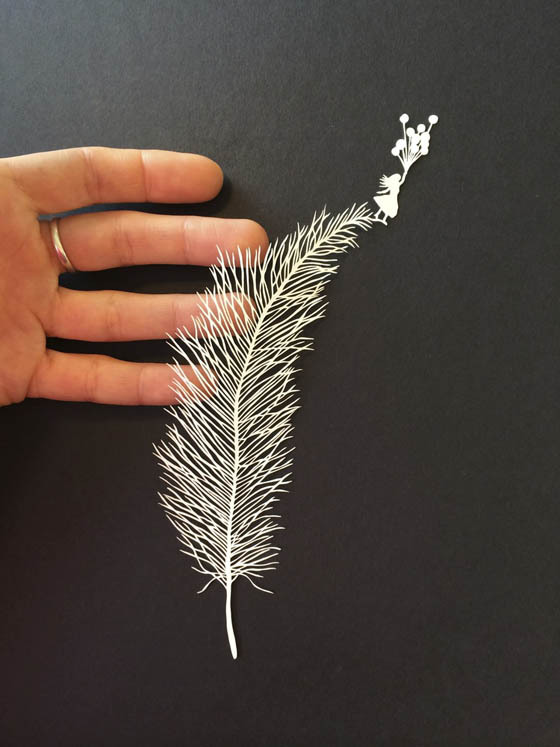 From delicately feathered birds to a woman’s wind-blown hair, her work brings paper cutting into a new level. 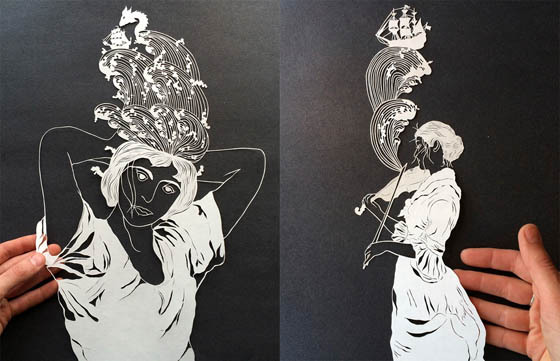 To see more of Maude’s work, you can check her website or Instagram page.